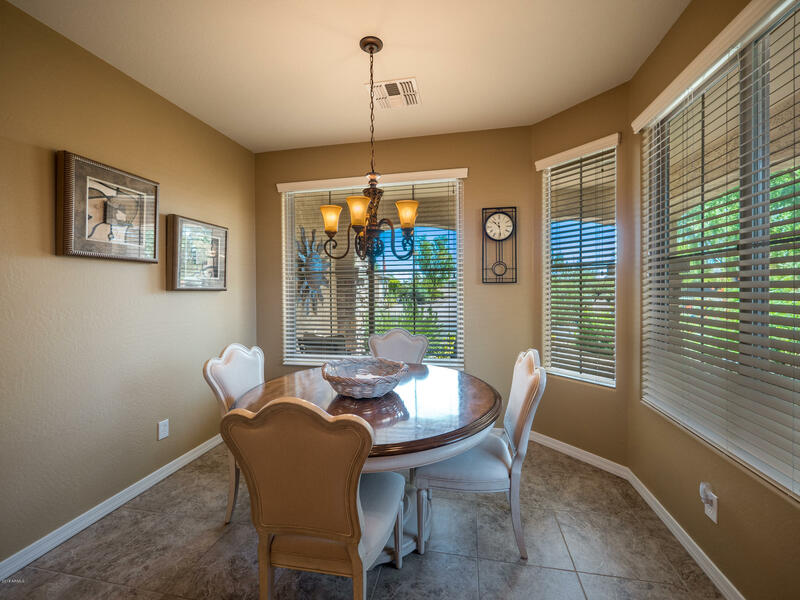 Inside and out, you won't be disappointed. 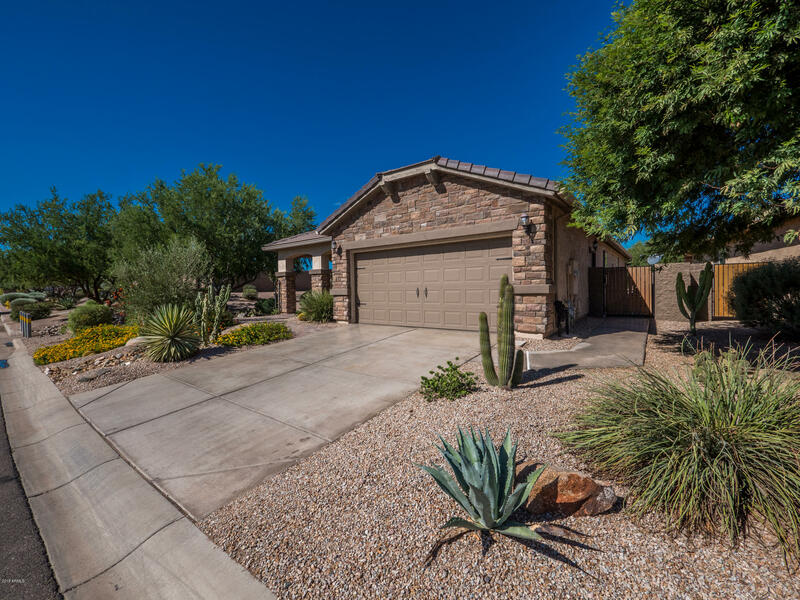 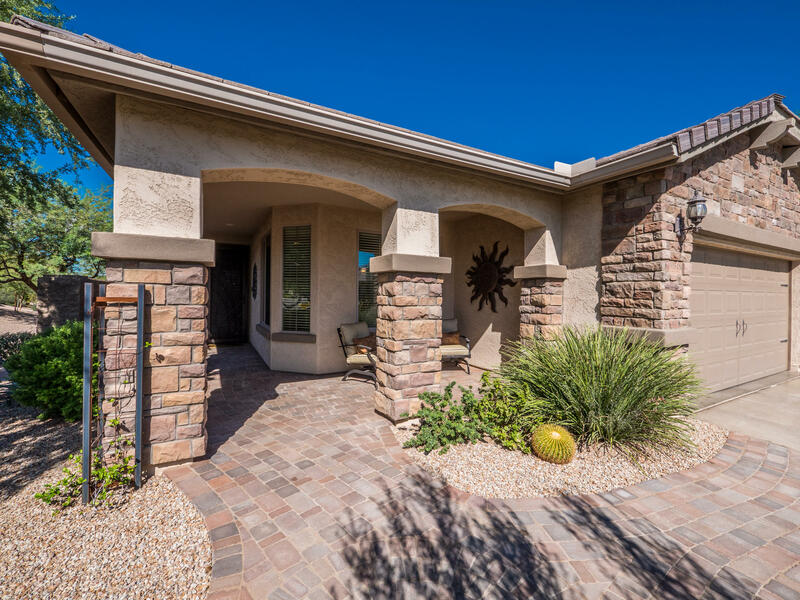 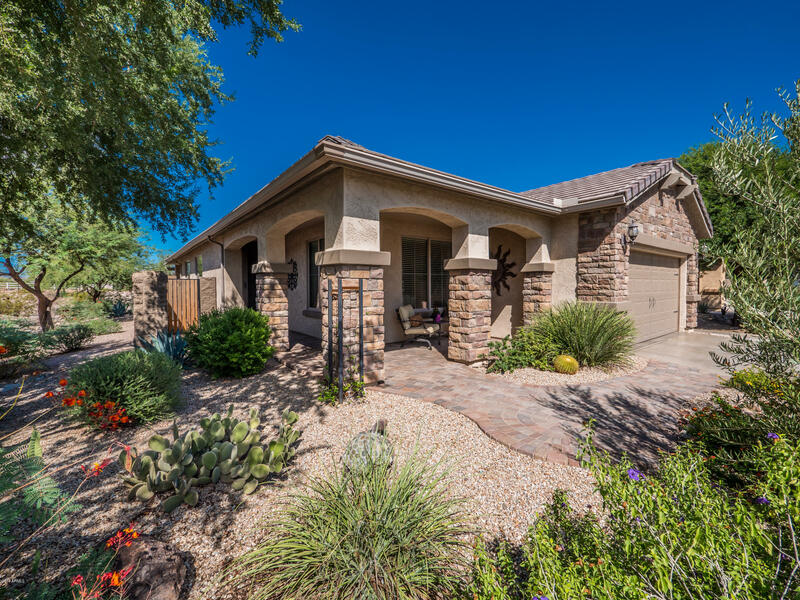 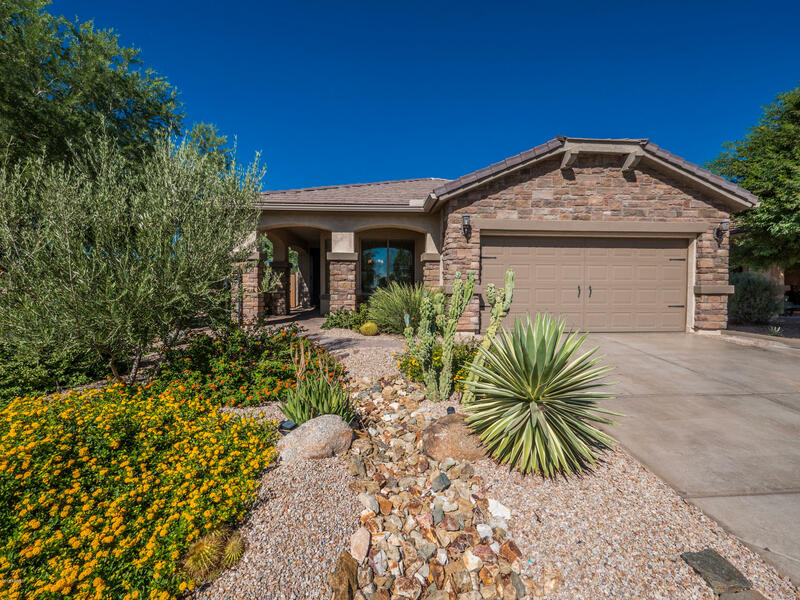 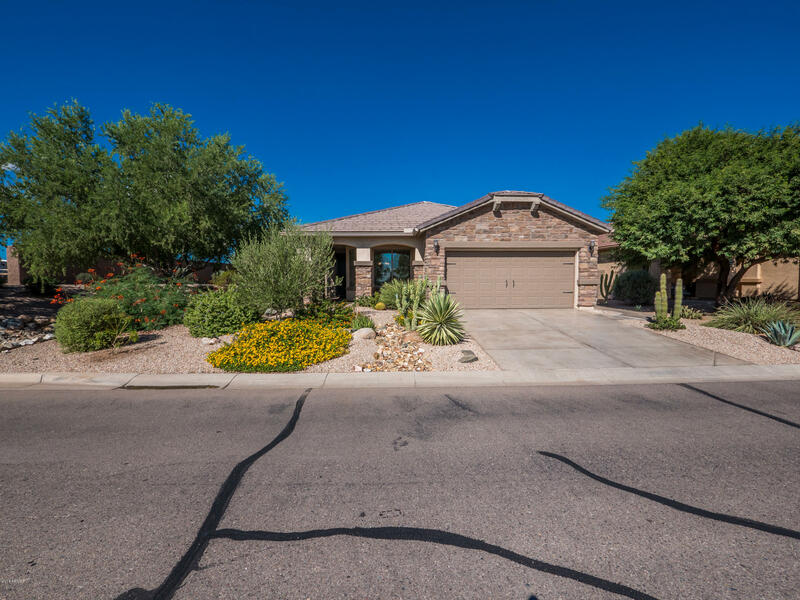 From the stone facade, paver walkways, custom front door, see what this Sagebrush model has to offer. 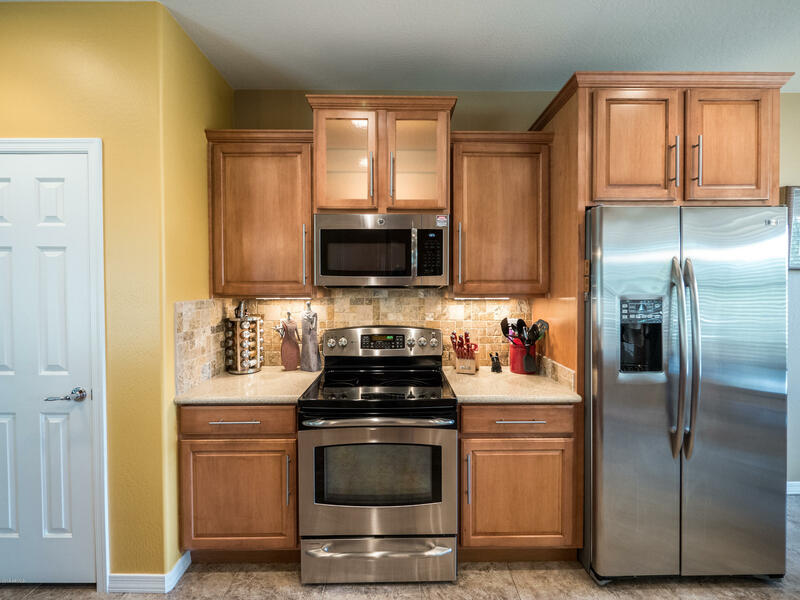 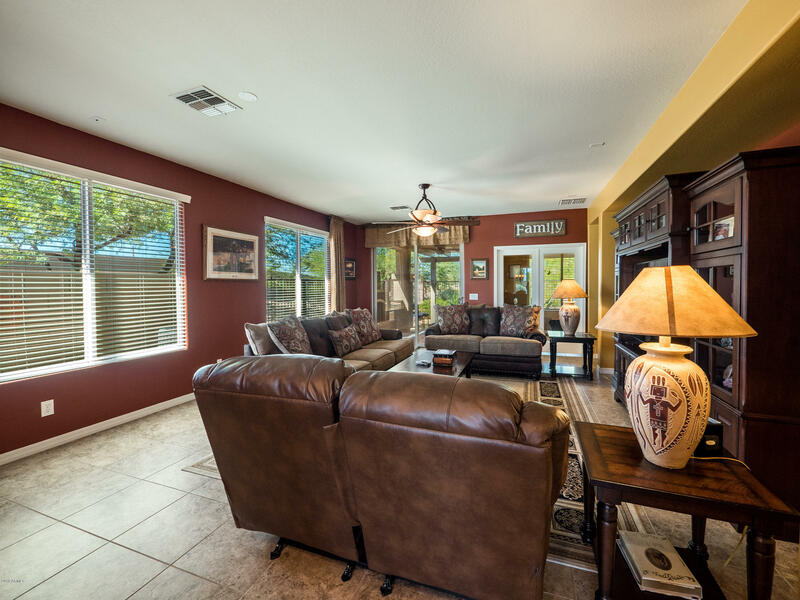 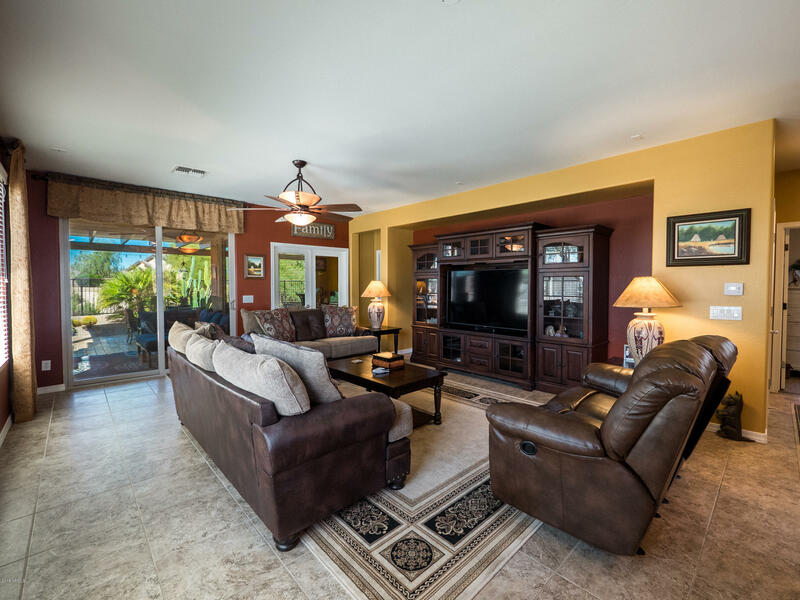 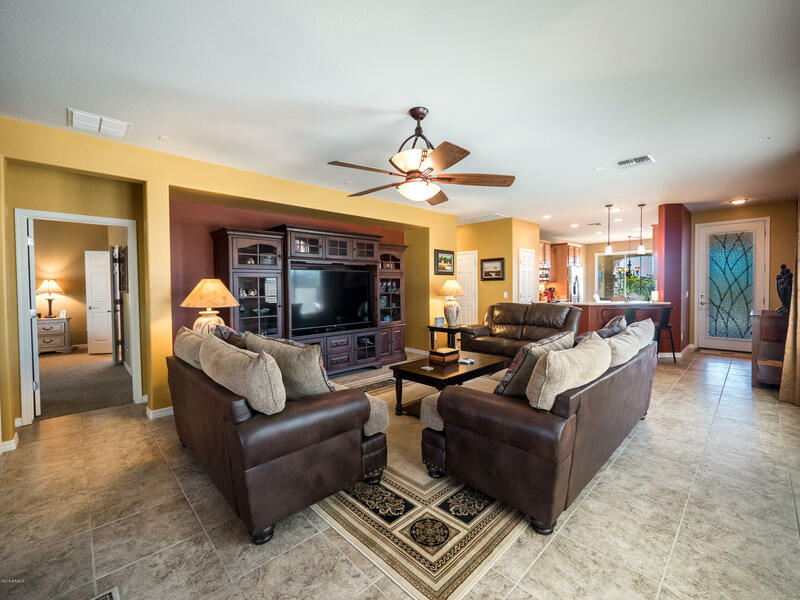 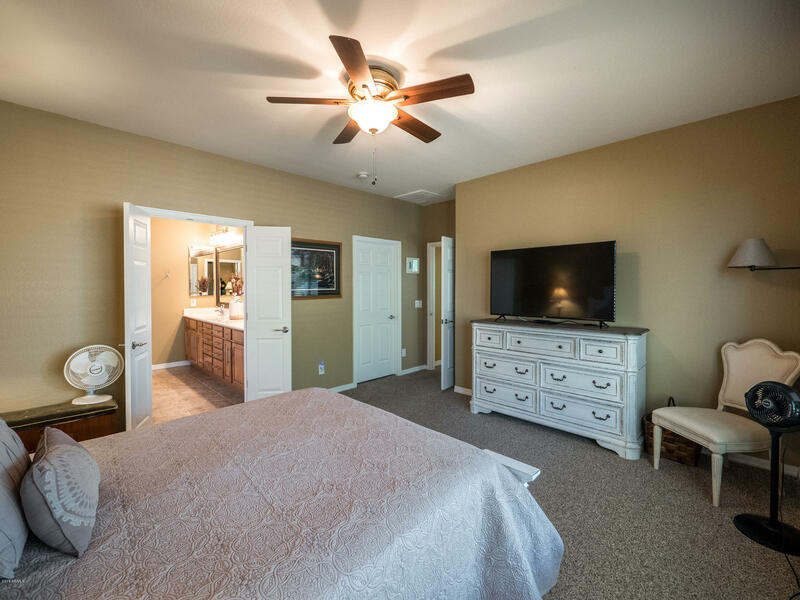 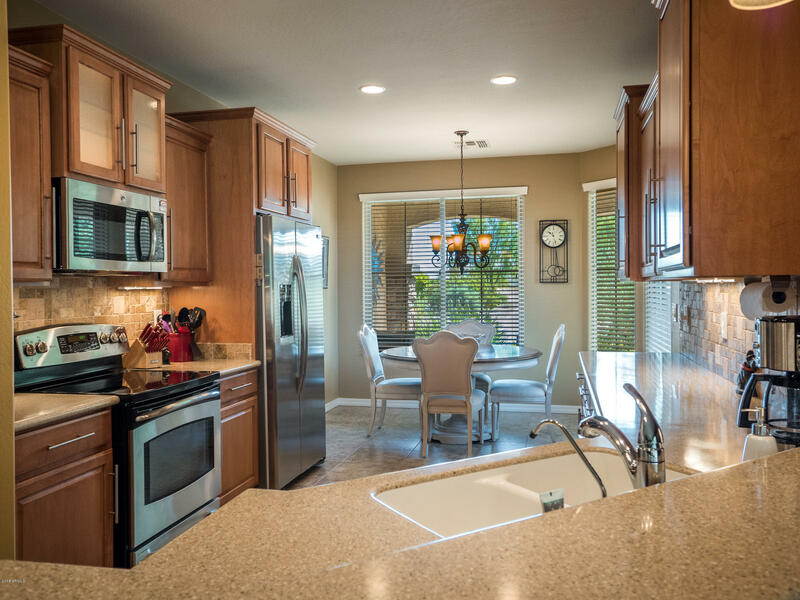 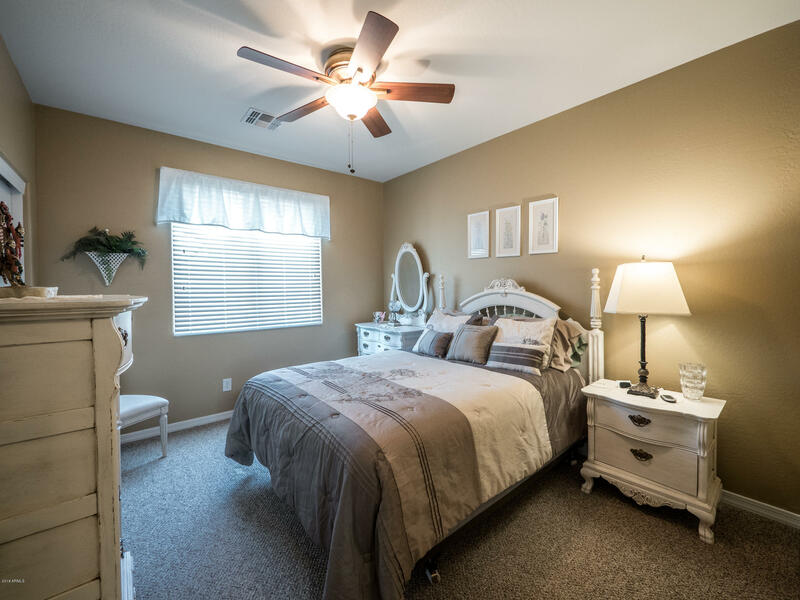 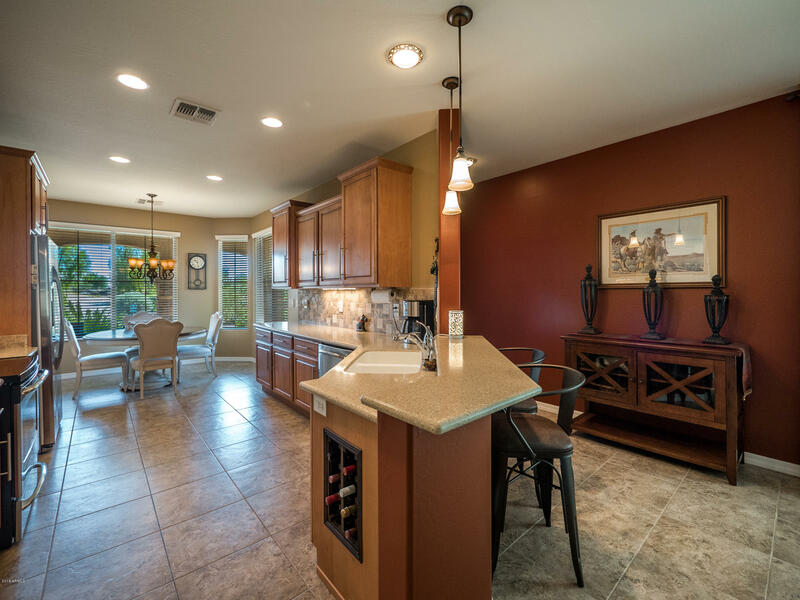 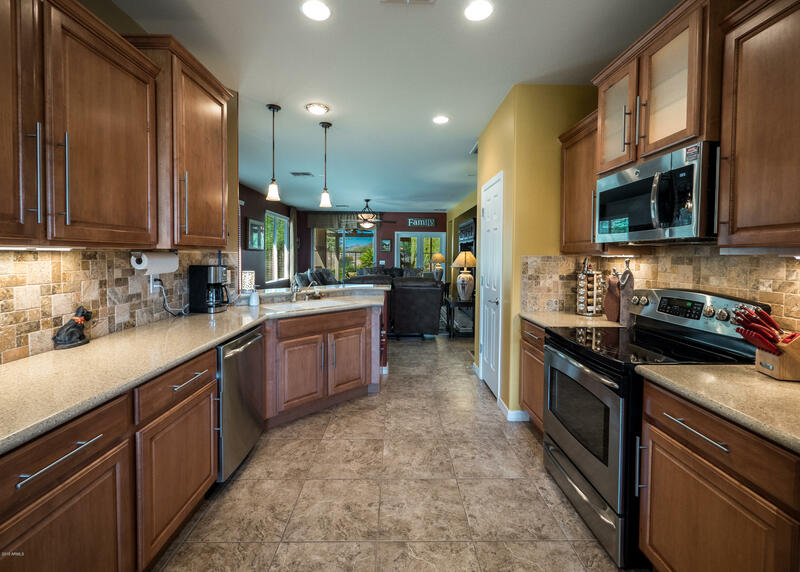 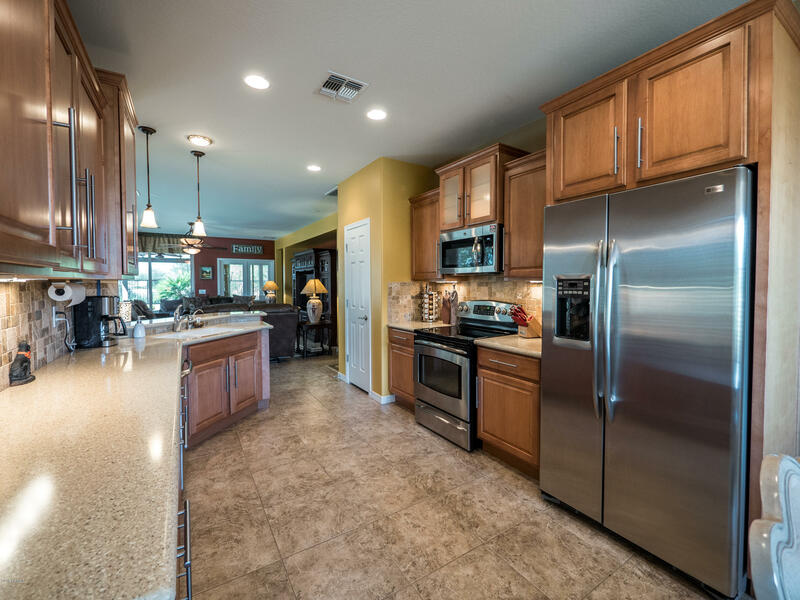 18'' tile flooring, lighted ceiling fans, tinted windows, custom paint, staggered raised panel lighted kitchen cabinets, tiled backsplash, stainless steel appliances, double oven, RO drinking water, built in wine cabinet. 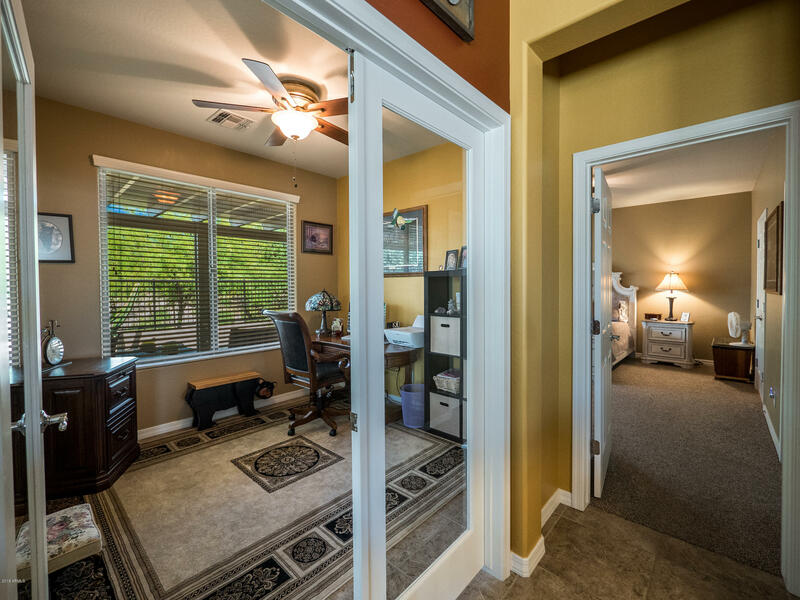 Bedrooms feature Berber carpet. 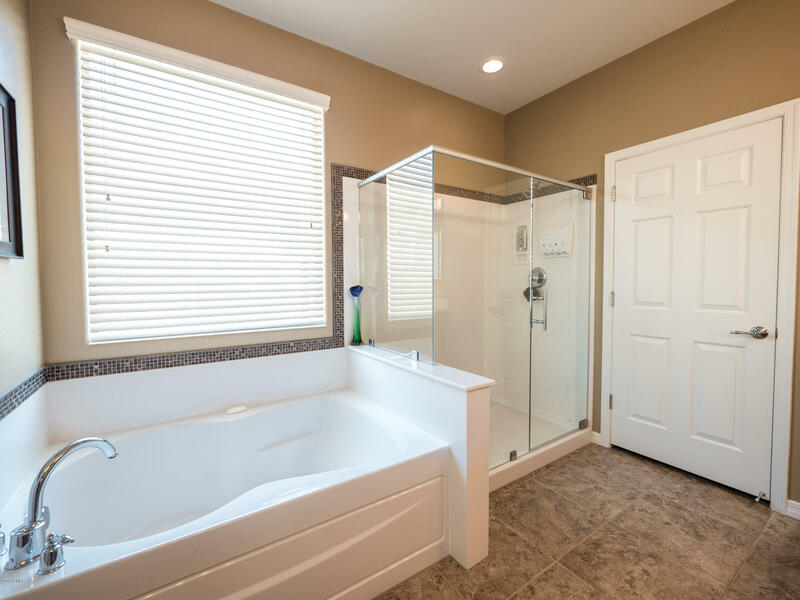 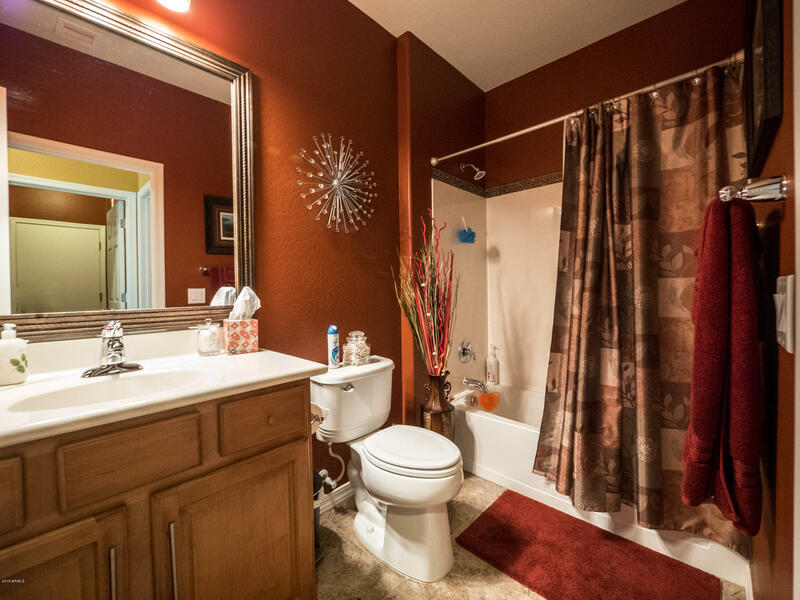 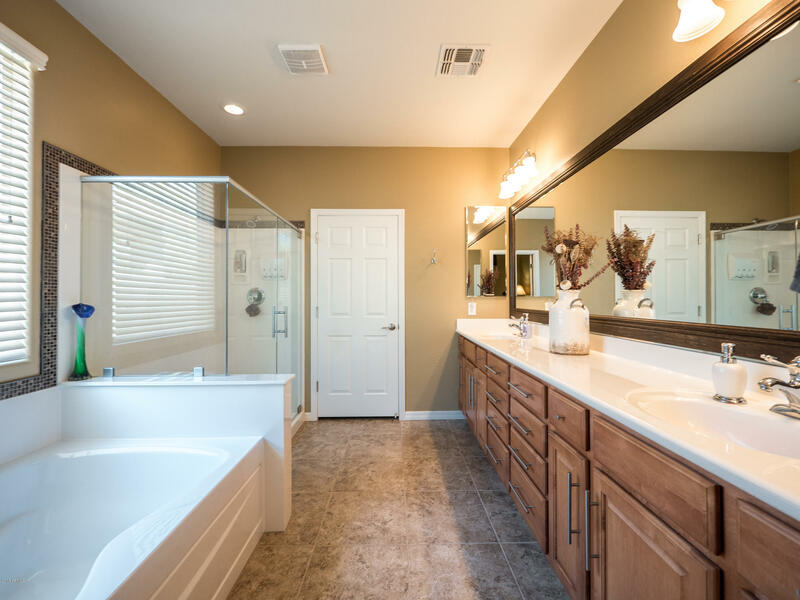 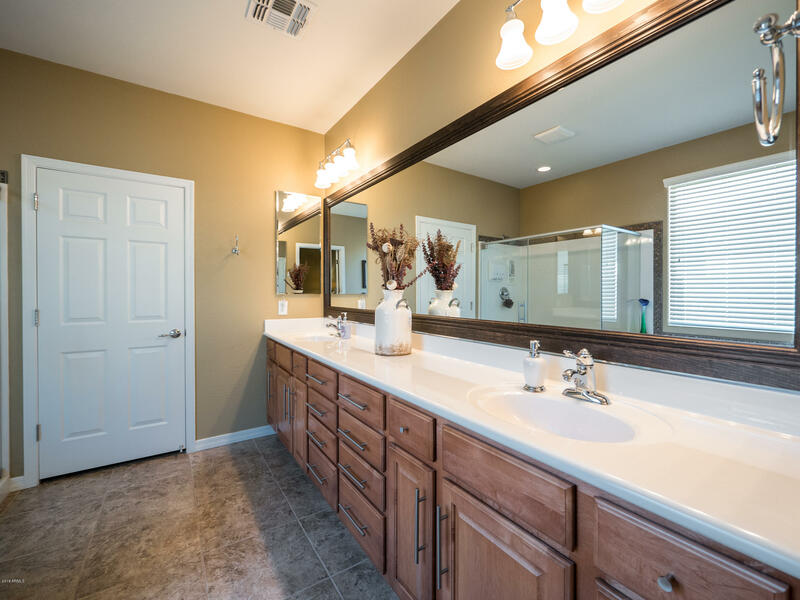 Master bath features double sinks, soaking tub, upgraded shower. 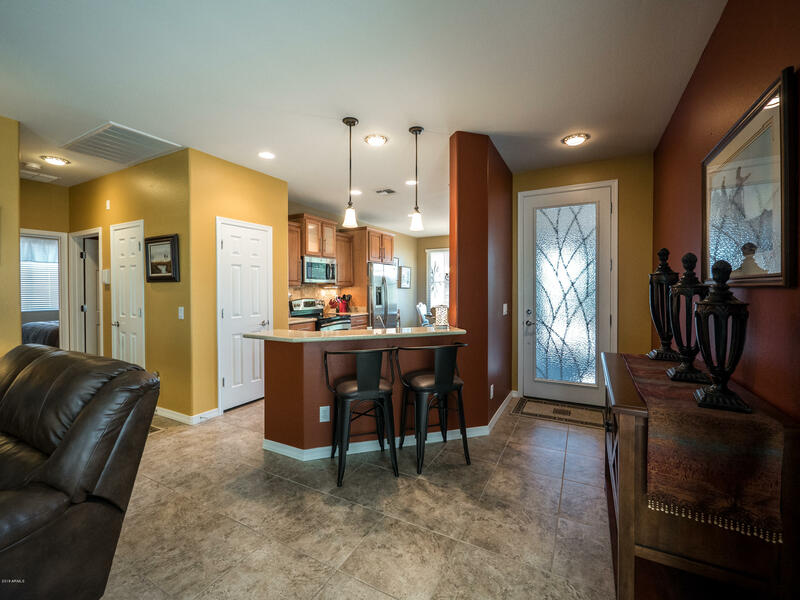 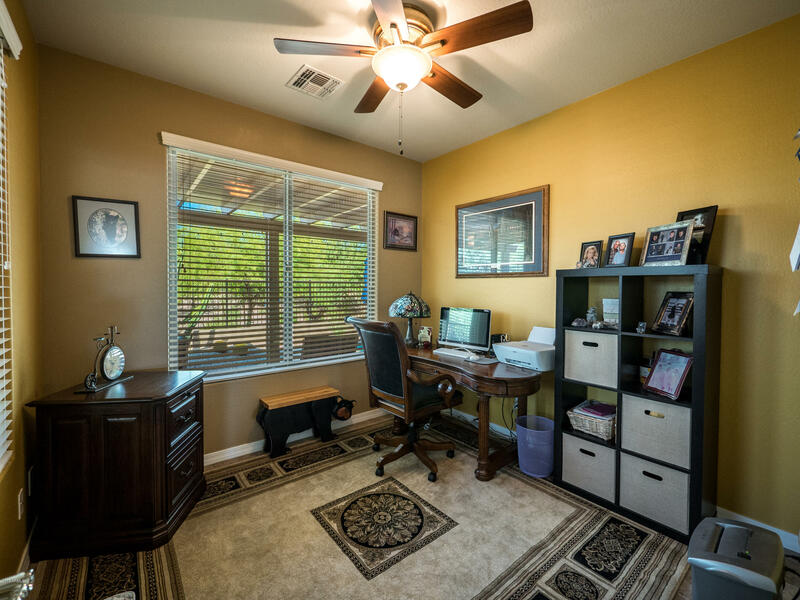 The garage features lots of storage racks, water softener, extra lighting, side entrance. 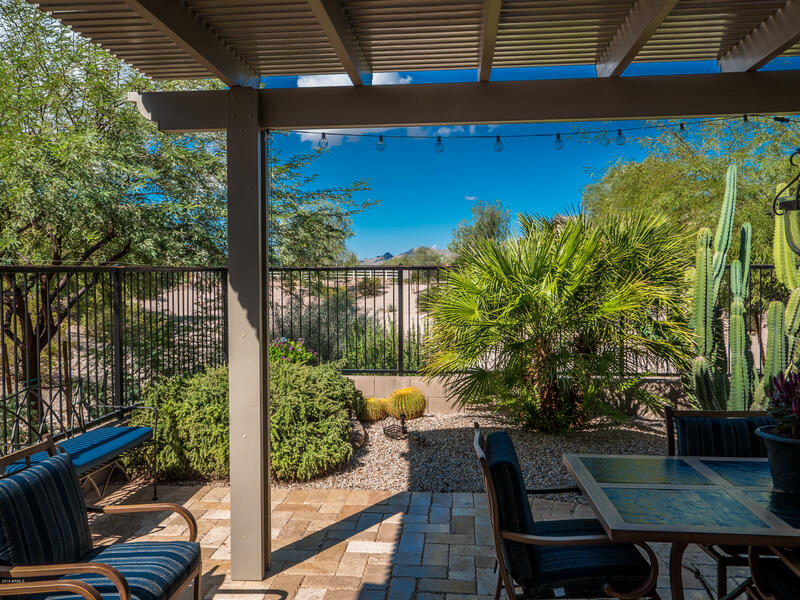 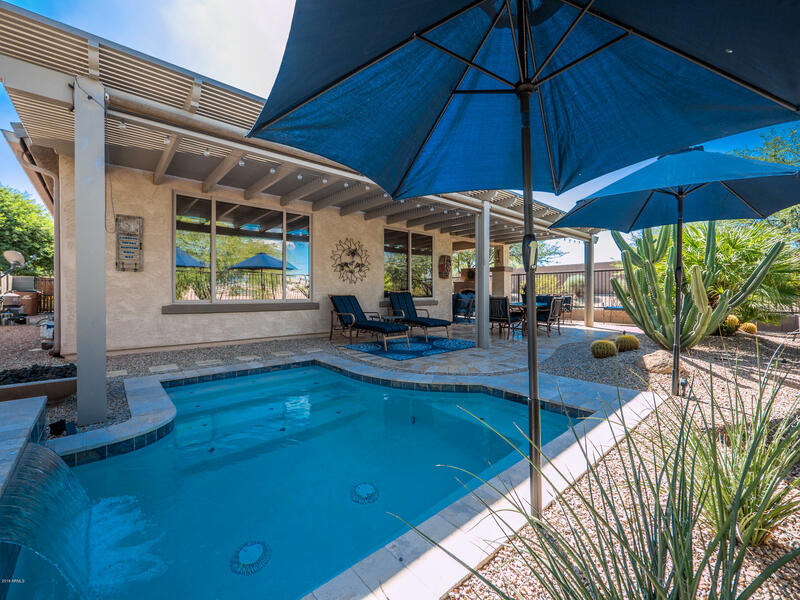 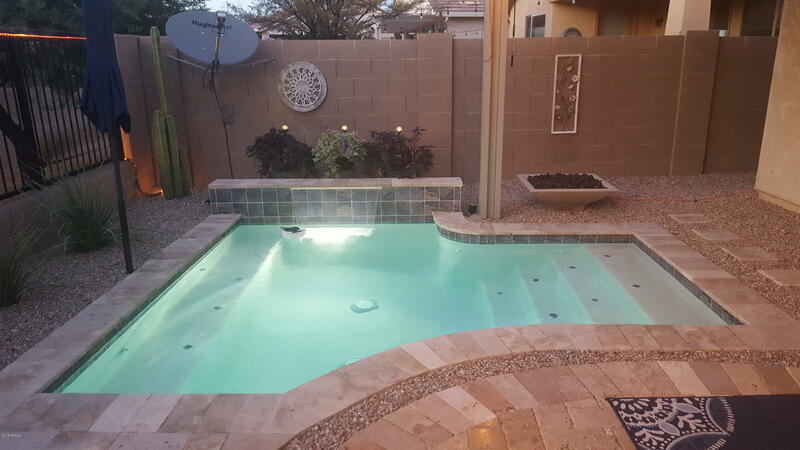 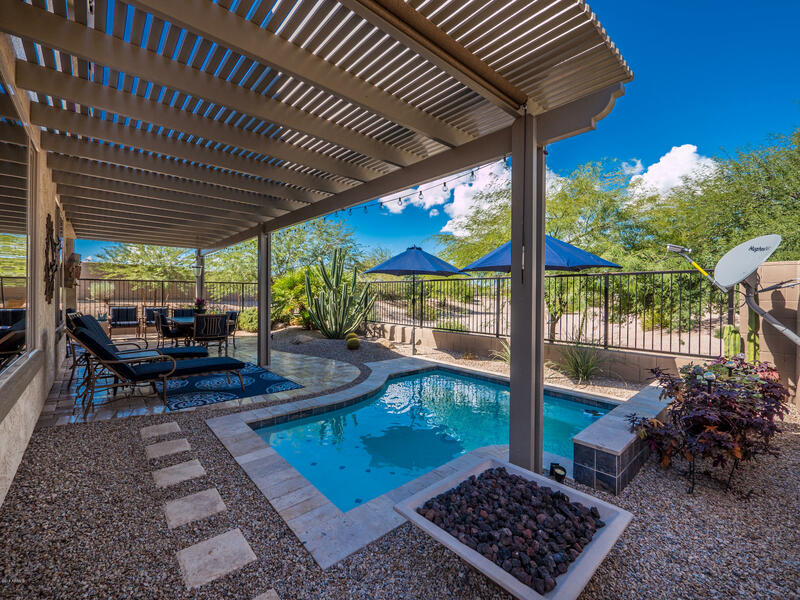 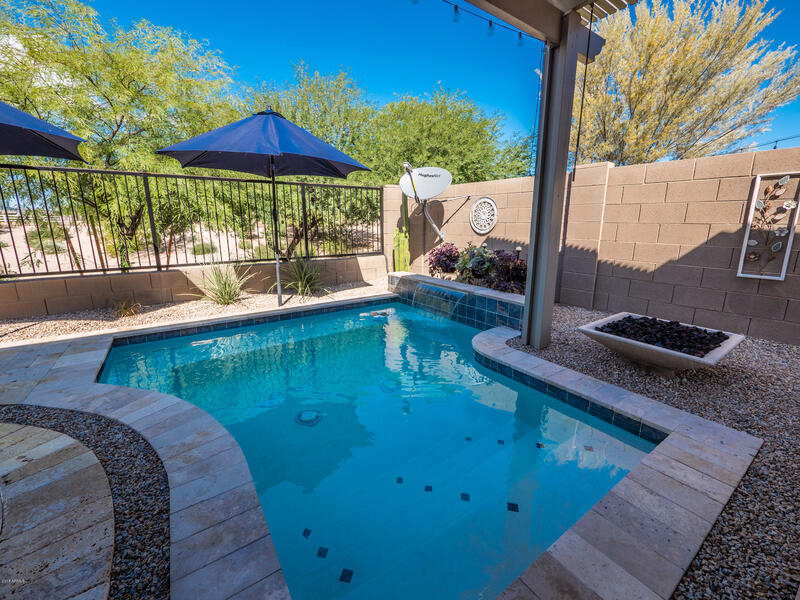 Enjoy your quiet outdoor oasis with Mtn views, while relaxing in the cocktail pool. 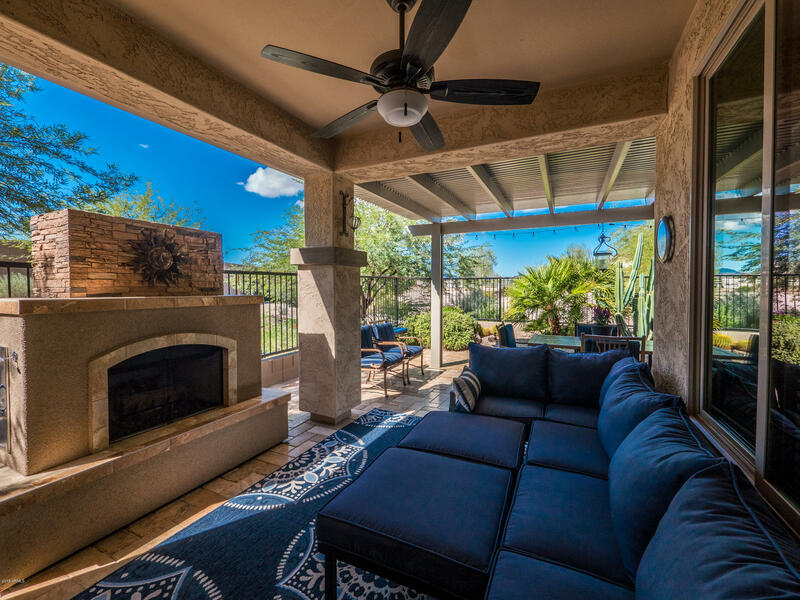 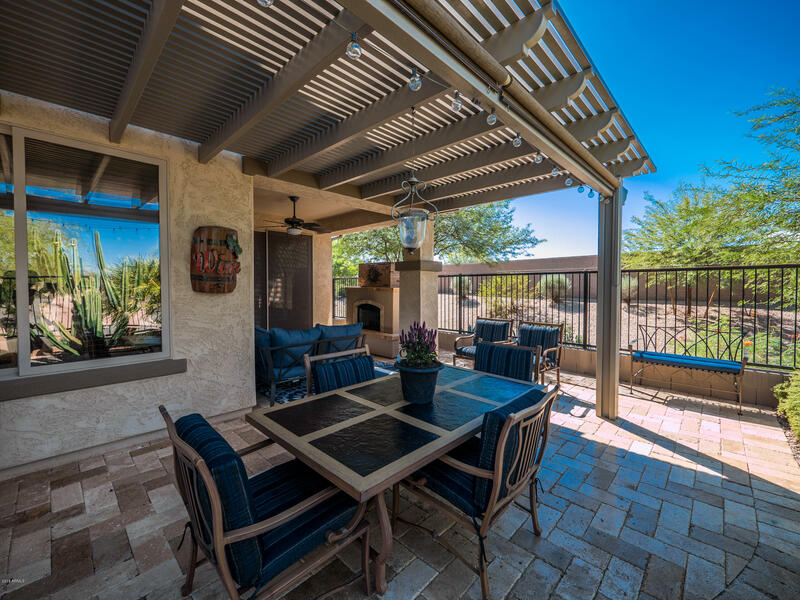 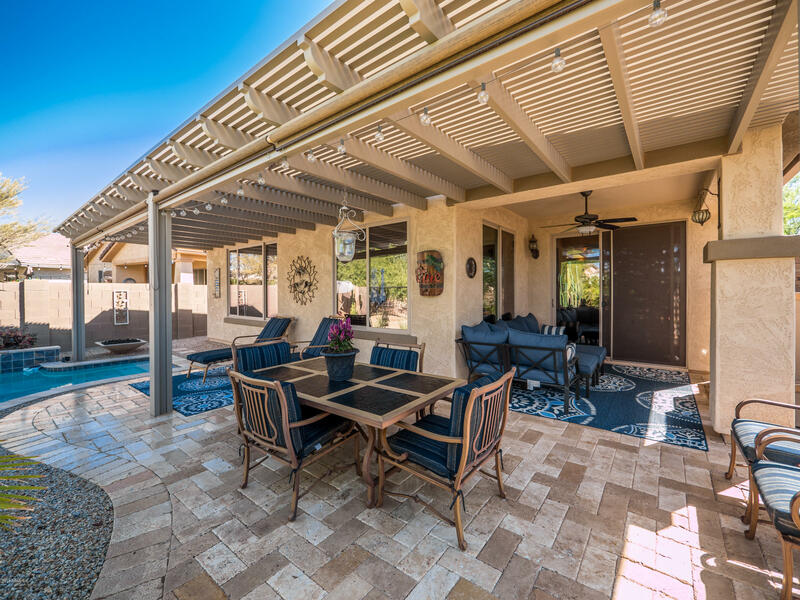 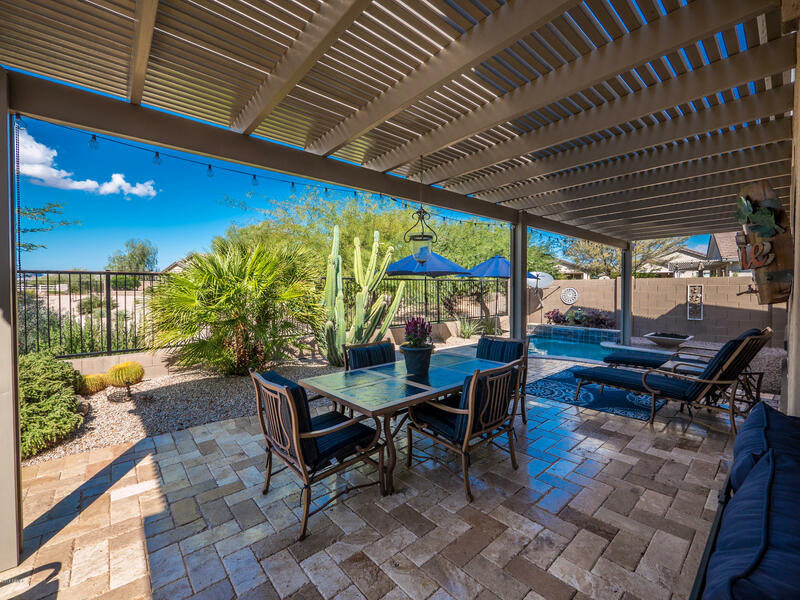 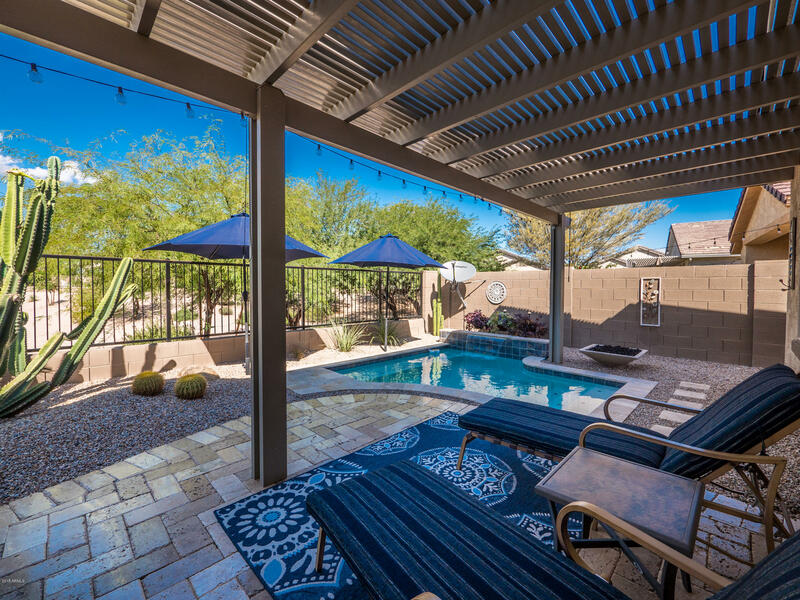 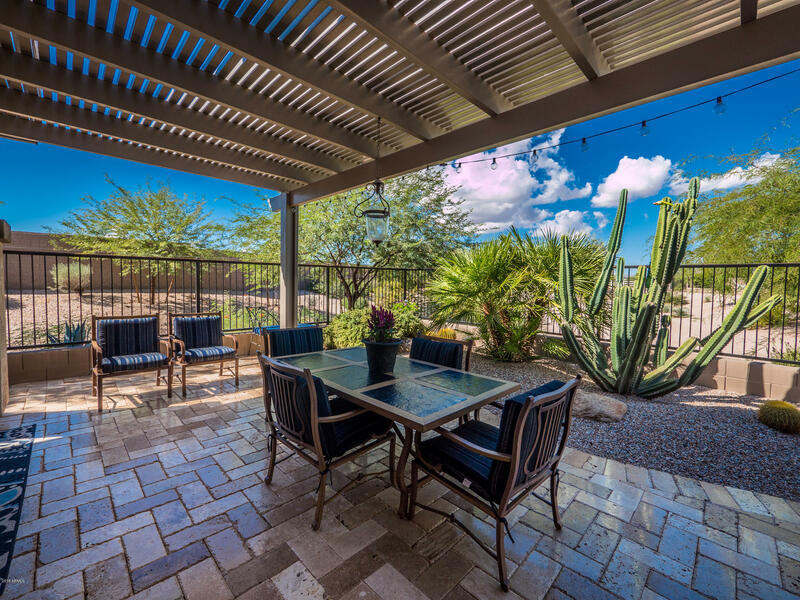 Watch the sunsets under the full length lighted patio cover that sits on beautiful travertine pavers, or cuddle in front of the Tuscan Natural Gas Fireplace.